Why is Immune Health Important to Your Dog? Integrated Chinese Medicine Holdings Ltd.
Scientific name: Codonpsis pilosula (Franch.) Nannf., Codonopsis pilosula Nannf. var. modesta (Nannf.) L. T. Shen or Codonopsis tangshen Oliv. Tangshen fortify the spleen, replenish lung, nourish blood and engender body fluids. Traditionally, Tangshen is used to treat hypofunction of the spleen and the lung; dual deficiency of qi and blood; dual deficiency of qi and yin etc. 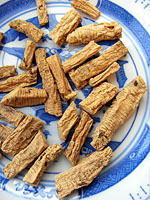 Tangshen is sweet in flavor and neutral in nature, mainly manifests its therapeutic actions in the spleen and lung meridians. Tangshen can tonify spleen and lung qi. Using for deficiency of middle qi, body weakness, loss of appetite, sloppy stool; cough, shortness of breath and faint low voice caused by lung deficiency. 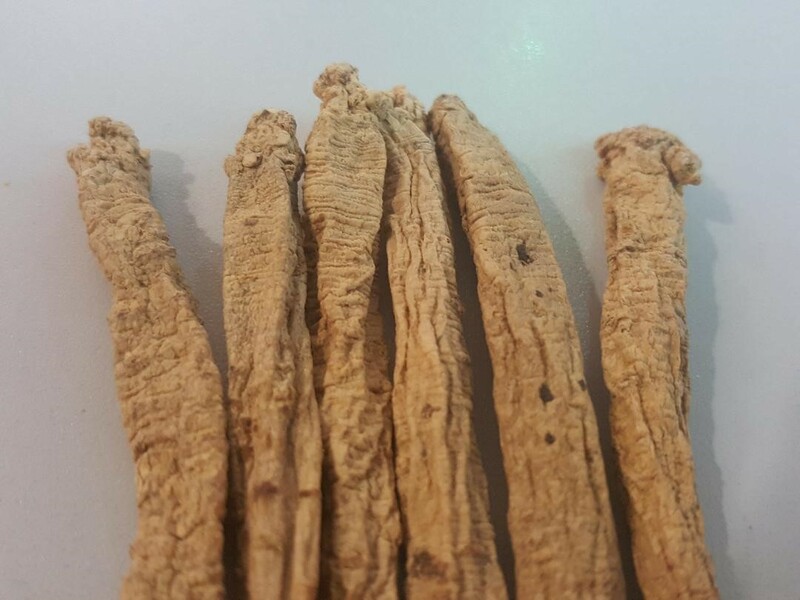 Used as ginseng’s alternative in clinical treatment of qi deficiency of the spleen and lung qi,. The pharmacological actions associated with tonifying spleen and lung qi may be due to the function of promote intestinal absorption, regulate the spasm of digestive tract smooth muscle, improve the ventilation function of the lung, enhance cardiac function and enhance anti-fatigue and hypoxia tolerance. Tangshen can be used for person with pale or sallow complexion, fatigue, dizziness, palpitations etc., which caused by blood deficiency or qi deficiency. Modern search found that the Tangshen can improving blood rheology and microcirculation, reduce the index of erythrocyte sclerosis and promote hematopoietic function, which may be related to the qi and blood function in traditional use. Commonly used for mild situation of thirst and shortness of breath due to exuberant heat damaging fluid or qi deficiency pattern fluid depletion. Tangshen can reinforce the healthy qi and eliminate the pathogenic factors, prescribe with exterior-releasing medicinal, offensive purgative medicinal etc. Using for pattern of qi deficiency with external contraction and interior excess pattern with interior deficiency. The immune function enhancing function and antibacterial antiviral effect may be related to the mechanism of Reinforce the healthy qi of Tangshen. Incompatible with Rhizoma et Radix Veratri. Brown46 on Porkchop on a Mission …. Making best choices for your health needs.